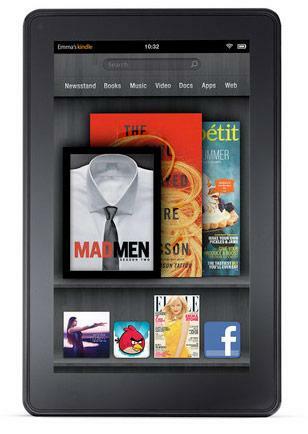 Amazon Kindle Fire or BlackBerry PlayBook - Which would you rather? A new entry into the tablet space has just been unveiled by Amazon. The Amazon Kindle Fire, as it is known, has quite a few people interested in it already given its low buy in cost which is set for only $199. When looking at the specs, and the device one could almost mistake them for the BlackBerry PlayBook and we're guessing that some folks in Waterloo might be a little upset right now for quite a few reasons aside from the price point Amazon is able to offer the Kindle Fire at. Lets start from the beginning -- Amazon has been working on building their eco-system for quite some time now. They've come to agreements with content providers to offer music, movies, tv shows and most recently Android apps. It was rumored long ago this was all in an effort to strike up their Kindle brand by eventually offering a tablet to the masses and all this effort is what we saw unleashed today. If you're looking at the Amazon Kindle Fire and thinking to yourself that it looks like a BlackBerry PlayBook -- there is good reason for it. It's been suggested that Quanta has made the Amazon Kindle Fire for Amazon and they are also the original design manufacturer (ODM) that built the BlackBerry PlayBook. When it comes to specs those are pretty similar to the BlackBerry PlayBook as well. The Amazon Kindle Fire comes with a 1GHz TI OMAP4 dual-core processor, 1024 x 600 multitouch-capable IPS display made of Gorilla Glass, 8GB of built-in storage and is rated for 8 hrs of usage for reading -- 7.5 hrs for video playback. You'll not find any 3G connectivity here either, only WiFi is on board for connection options. When it comes to the OS the Amazon Kindle Fire is running a forked version of Android which has been customized and is of course capable of running Android Apps from the Amazon App Store but not from the Android Market though, there has been talk that apps may be able to be sideloaded. Taking everything into account here, how do you all feel about the Amazon Kindle Fire vs. BlackBerry PlayBook? I love my BlackBerry PlayBook, it's a beautiful piece of hardware but for now it feels unfinished. That may change when BlackBerry Tablet OS v2.0 comes out but, I can't help but think RIM just got played by Amazon pretty much with their own equipment. Amazon has a huge eco-system which includes plenty of movies, music, apps, books and it's all packaged up and ready to go in similar looking hardware for $199 with a 30 day free trial of Amazon Prime. Even with price cuts, RIM isn't matching that and I didn't even mention, it has email built in.